APD Dumfries beat DMPS St Michaels by 7 wickets at Benfield Park Nunholm in the SCU Trophy quarter-final on Sunday. St Michaels scored 105 all out with Jim Patterson taking four wickets and Scott Beveridge and Jerry Goodin each taking two. James Gibson top scored for the Kingholm side with 35. Dumfries reached the winning target with over half the overs left thanks to an undefeated 58 from Tom McBride with Chris Brockwell claiming two of three Dumfries wickets to fall. On Saturday APD Dumfries moved up to fourth in the Scottish Championship with an away win at East Kilbride. 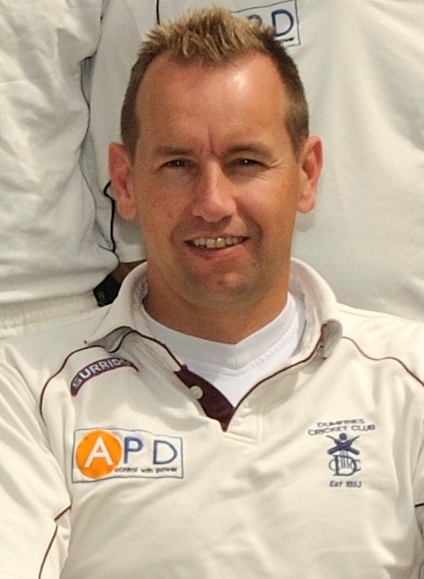 East Kilbride were all out for 129 with three wickets to Scott Beveridge. Drew Dawson scored 49 as Dumfries notched up a comfortable win with just three wickets down in the 33rd over. The same day Site Electrical Nunholm beat Meikleriggs by eleven runs in the West SNCL Reserve league in Paisley in another close finish for the side. The younger players, Marcus Richardson, with 58, and Owen Thomson, with 39, set up the win with a crucial 97 run partnership in the Nunholm total of 168. Meikleriggs fell just short in the second last over ending up on 157 all out. Over the summer holidays cricket is available at Nunholm with the Dumfries Cricket Club Summer Camp and the club’s weekly Monday night junior coaching sessions (6:15-8). The camp takes place on Tuesday and Wednesday, the 26/27th July (10-3pm) for those aged 7 to 16. Cost will be £20. Bookings should be made by contacting dumfriescricketclub@gmail.com or Trefor Williams on 01387 256455.